Isaac Kgosi has vehemently denied his involvement in any criminal activities. Former Botswana director-general of the Directorate of Intelligence and Security (DIS) Isaac Kgosi has been arrested and is facing charges related to corruption, the African Daily Voice reported. 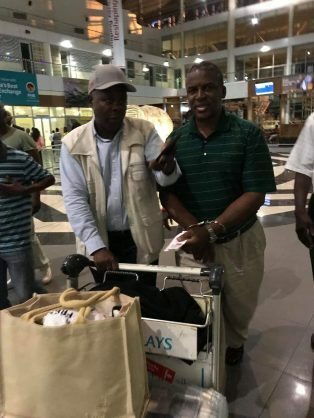 Kgosi was arrested on allegations of tax evasion at Sir Seretse Khama International Airport on Wednesday upon his arrival from Dubai. The arrest follows a lifestyle audit conducted on the former intelligence head by the Botswana Unified Revenue Services (BURS) after attempts to lay separate charges by prosecutors were delayed. According to BURS, there is supporting documentation and information for an investigation into Kgosi by the Directorate on Corruption and Economic Crime (DCEC). But Kgosi has vehemently denied his involvement in any criminal activities. “I’m going to topple this government, I promise you. You will force me to do things that I never intended to do,” he allegedly said before being taken away to a holding cell at the military barracks, the Voice reported.